calvarycurriculum.com- The Good Shepherd lesson #206 with memory verses, circle the correct words, true or false, fill in the blanks, puzzles, and color sheets. The Catholic Toolbox- The Good Shepherd- lesson for Pre K – K with: Objectives, Word Wall, Bible Story with questions, Songs and/or Finger Plays, Activities, Crafts, Games, Snacks, Coloring/Puzzles, etc. 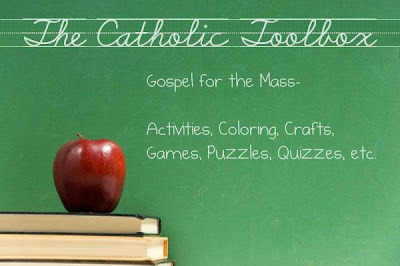 The Catholic Toolbox- The Good Shepherd- lesson for first grade on up with: Objectives, Review, Vocabulary Words, Bible Story with questions, Activities, Crafts, Games, Snacks, Puzzles/Mazes/Worksheets, etc. Introduce craft: Who is the Good Shepherd? The Lord is My Shepherd Magnet- A cute sheep magnet out of popsicle sticks. You can omit the other wooden pieces and mini chalkboard in this craft and just use cardboard or construction paper. (Hands On Crafts for Kids 20-Minute Crafts, page 30 & 31). 1. Use the white crayon to trace around your hand on the black paper. Cut the hand shape out. 2. Cover the palm of the hand and the base of the thumb and fingers with glue. Then attach cotton balls to make a sheep. 3. Punch an eye for the sheep from the brown paper. Use the black marker to draw a dot in the center of the eye for a pupil. Glue the eye to the middle of the thumb. 4. Tie a piece of thin ribbon around the base of the thumb to form a neck for the sheep. Tie the ribbon in a bow. Introduce game: What does a shepherd do? What happens if one lamb is missing? Directions: Students sit in a group on the floor. One student is “It” and must turn around and hide their eyes. Another student is picked by the teacher and they go outside of the room. “It” then must guess what lamb is missing. Whoever was the lost lamb is now “It”. 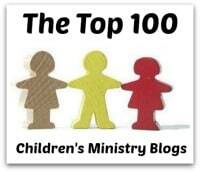 The Lost Sheep Hide and Seek- A great activity game to go with the Bible story. (Super Bible Game Book by Linda Standke, page 146 for game piece and page 146 for directions). Pick one student and have them stand beside you in front of the class. Place an empty box on its side at the opposite end of the room. Say: This is not a race, we just want each person to have a turn. When you get your sheep in the pen, pick it up and walk back to me and give me the staff and the sheep. Was it easy to make your sheep go where you wanted them to go? • Do you think it's easy for shepherds to get sheep to go where the shepherds want them to go? Why or why not? • It's hard to make balloons go where we want them to go, and it's even harder to take care of sheep because they sometimes run away or get lost. • Do you remember our story from today? Say: Jesus is our Good Shepherd, so when we follow him, we won't ever get lost. • Why was the shepherd happy when he found the sheep? Why might he have been angry? Which is the more human reaction? Say: We are all like sheep. There are so many things in the world that can ‘eat us up' if we get lost and if we don't have a good shepherd watching over us. Jesus is our good shepherd, so we will follow him. • Do you think that Jesus is happy when we choose to follow him? Why or why not? 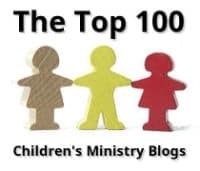 sundayschoolresources.com- What do I do? Introduce game: Jesus wants us to follow him. What does that mean? Why does he want us to follow him? Let’s see if we are good followers and can do the right thing.